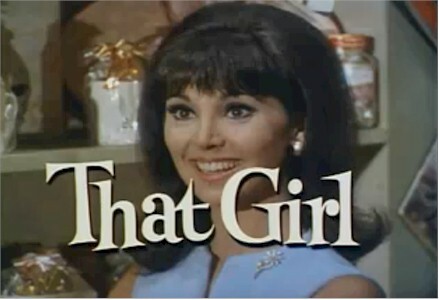 When "That Girl" was on the air, I was in my late teens and I loved watching her. It was recently rerun on one of the nostalgia cable channels, and I realize how hyper she seemed. I get the same impression watching "The Donna Reed Show" that's on now. The pace seems accelerated on both of those shows, like listening to a 33 rpm record at 45. Thanks again, Michael. I've updated this item with the YouTube link you provided, and will look into your other suggestions as well.